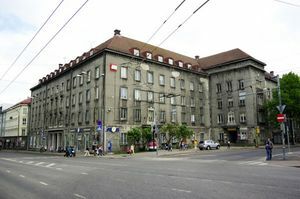 The Estonian Academy of Arts is located in Tallinn, Estonia. The animation department is relatively new, having only been established in 2006. But already, its students and teachers enjoy worldwide success. As they say on their official website: "The greatest problem in the film world is the lack of good stories". And to do something about this, they are unique in teaching the script constructing method of prof. Priit Pärn, himself a renowned animation filmmaker. Frei Michael was there but we have no report. Just ask him. This page was last edited on 18 December 2018, at 00:51.